We’ve received an amazing amount of feedback regarding the new Ubiquity logo. There have been convincing arguments for why we should choose a particular logo, and many why we shouldn’t. There have been over a hundred and fifty voices, across the blog posts and twitter. The open-design process has been a wonderful, rich, and educational experience. Remixable. We want a logo that begs to be played with, remixed, and reworked. Something that makes its way onto t-shirts, badges, stickers, and wallpapers. Something that’s meme-able (has memeing, if you’ll excuse the pun), and that people can make into their own. Strong Metaphor. We want a icon that shouts “extend, empower, and connect the web”. We also took into account the standard considerations: working at small sizes, being visually stimulating and recognizable, etc. When Sebastiaan announced on Twitter that a logo had been chosen (without giving away which one it was), he was immediately pinged back by numerous folks saying that they hoped it was the Ubiquibot. That was relieving, because indeed it was. Ubiquibot had by far the strongest emotional connection — with numerous commenters falling in love — and has already inspired (credit: Dietrich Ayala). The win is less dramatic in the strong-metaphor camp, but with the addition of the glowy lines, it pulls ahead slightly, with a sense of enhancing/pervading the web. 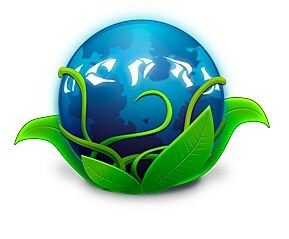 The Organic Globe was a close runner-up: inspirational, iconic, and fresh. But it just wasn’t as remixable or emotionally impact-full. The solar-model is classy, but emotionally cold. We tried hard to incorporate language and magic into the concepts (runes, letters, and magic dust). And we even tried starting all over again, given the feedback. None of them really worked. Sebastiaan isn’t done polishing the logo yet. The some funky perspective and the globe is a bitmap (which explains the blurry edges). Expect to see refinements soon. We need feedback for the finishing touches to the Ubiquibot. Should something be hiding under his head-plate? Does Ubiquibot have any extensions himself (like Firefox ears?). Also, if you think the wrong decision was made, we want to know that too! Having emotions run high is no mean feet for a piece of software! Altough I fully understand the choice for ubiquibot (more iconic and memorsiable), I feel that it’s somehow a pitty to go for a “robotty” icon instead of the organic one. For me ubquity has nothing to do with robots, ubiquity enhances the ‘flow’ of the web from my point of view. Robots remain full of 1′s and 0′s (cfr osx’ automator icon), whereas organic stuff is more about ‘somehow’ creating stuff. I totaly agree with Dries! Great decision, Ubiquibot makes an emotional connection, is remixable and is a strong metaphor. The only reservation I have about the final logo is it’s boldness and scalability, I think the socket needs to be more distinct from the bot. Other than that it think it’s cool and think it’ll do a good job of helping to popularise Ubiquity. Wow, I’d love to see that Sun-and-Moon icon incorporated into something. After a moment, it even starts to look like a person with an outstretched arm, holding the Earth and marveling at it. Personally, I only like ubiquibot out of the three candidates. So there was no real choice for me and I am more then happy, with the result. It looks very promising and is in my opinion a natural fit for the whole project. As soon, as the design is refined and perfected it should be implemented as often and as much as possible. Into Ubiquity itself (on about:ubiquity at least), on labs and later on the addons page. I think people will enjoy this icon. p.s. : Check out the promising port of songbird’s ubiquity on the addons page there. I liked the organic globe first, but it looks even better with the ubiquibot on it- the Firefox globe coming together with nature and spreading technology. That one is my new favorite. Sincerely, it feels like the robot feet are a plug, the only thing missing are holes in the Earth globe. The 3 choices are great, just hoping you don’t put firefox logo where the globe is. If you do so it would look like the fox is going to eat the robot, and probably too many elements in stage. Symbolism = Something to do with action at a distance, ‘pulling things together’…a kind of scientific magic. Also, the bane of robots :p –see Looney Tunes. Congrats on picking a design; I’m glad that the varied feedback that you got helped. Ubiquibot will end up taking on a persona that, I hope, will forge the emotional connection and embody the concept. Have you considered having Ubiquibot extend arms or other “feelers”, either connecting different spots on the globe or reaching out helpfully to the user / offering information to the user? I have to say ubiquibot of all the logo’s will help push ubiquity further. Hopefully people will be intrigued by the logo and want to find out more and therefore spread the word more. I like the Ubiquibot and it’s shaping up nicely, but the globe almost seems to be a distraction. In fact I think that there should almost be more of a focus on the head of the Ubiquibot. Focus on this area and make it logo. I do agree though that currently I almost feel sad for the little guy since he looks like wimp. It’s a well created identity, but the face of Ubiquibot looks like a very week bot compared to the power of what it can do. It would be nice if that power was represented in the face. You guys, who like the new logo, are too obsessed with robots. I suspect Sebastiaan is big Star Wars fan. Frankly, browsing has nothing to do with robots. It used to be mere strolling information highway. Time has changed and web is about media of all kinds. To me, Ubiquity provides literally “hands down” experience, command line to the web, mouse-free browsing. The winning logo is like to be of the new plug-in Prius. How about a wallpaper sized version of this image? Even though I’m a big nature lover I’d choose the ubiquibot over the green thing in this case. 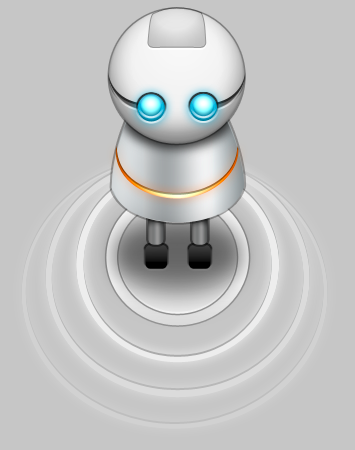 The bot is cute, but a little too… “smooth”? Characterless. There should be some attention given to what this bot’s temperament is, gender, strength to cute ratio, etc. It really needs some character. Great job, not only did you pick the best design but you made it look even cooler. Open = Better. ..and controls iTunes.. etc. etc. etc. 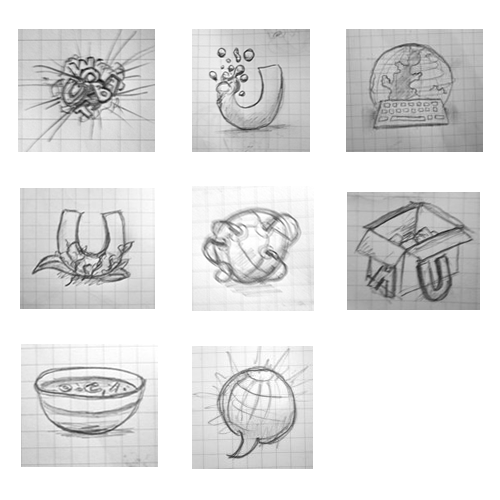 the possibilities are endless… *sigh* it’s a shame Enso is no longer being officially developed. As soon as I discovered this wetisbe I went on reddit to talk about a few of the love together. Thank you for great article. I’d a very good time reading, there were few things I was surprised at. Congrats on all of these designs! An excellent final design choice as well. I’m a fan of the lil guy already! Love the Ubiqibot, but not nearly as much as I loved watching the process. Really rocking. We’re totally going to steal how you did this as we roll into the mozilla.org visual refresh process. I’m afraid none of the logo’s did it for me. Sorry. I am anxious for the silhouette version, something I can use as a watermark on videos. Will it just be his head and those glowing eyes? The sun/moon icon would make a great generic-firefox-addon icon. As I commented on the last round, it would be really bad to have a US-specific plug/socket in an icon which represents “ubiquity”. The current version moves a little bit away from the US-style, which is good. If we have to have a plug and socket, it shouldn’t look like any of the existing power ones. How about an inverted U shape? OK, that looks less like legs, but you could highlight the front edges of the ends of the U to restore that effect. I really liked the Ubiquibot concept but I was hoping the angle wouldn’t be quite as high. One, the logo seems a bit too tall this way (especially with such a wide bottom half and narrow top half), and two, he does, as some people have said, look very tiny compared to the globe. Looks like we have a new pet/mascot/butler! I just had a thought about Ubi’s presence . . . he might be best presented as a robot-type footed-leg plug _in front_ of the generically unbranded Mozilla Firefox globe, rather than “on top of the world” . . . this would give the impression of the world being his background, and source of ideas, rather than it being his source of control. Edit: That is, Ubi can or should be able to be viewed as a *friendly* bot, one willing to help users “plug into” just about any idea they wish; one where they finally get the idea that they do indeed have a friendly friend in the world, not an all-encompassing seeker of control or manifest (ack! Microsoft). Don’t forget that GIMP has some awesome ability to do transparency! Let’s give Ubi some human characteristics before we place him on top of the world. 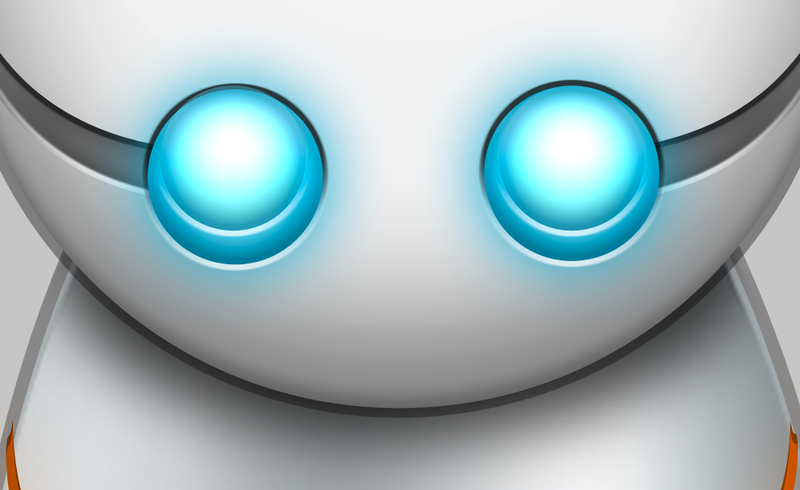 The closeup of the robot’s face is my new wallpaper! 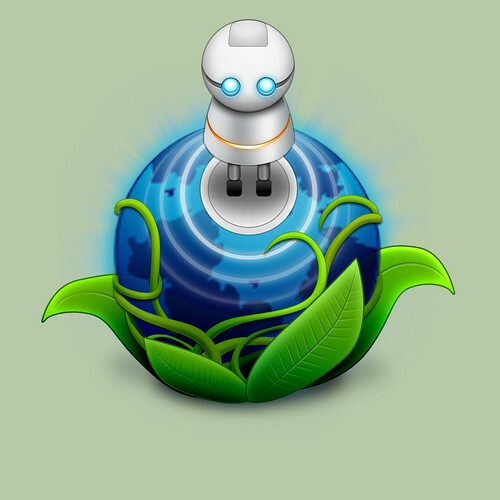 I also prefered the organic logo but I can see the benefit of the robotic one. Keep it simple is my opinion, so no ears or other addition things but i would like to see a bigger head like the one of Marvin from a Hitchikers Guide to Galaxy (okay, may this is a bit playful). The Ubiquibot is excellent. My only complaint is that it’s not immediately clear that the robot is plugging into the globe. It took me a while before I noticed it wasn’t just standing on it. I like that idea. Not so much the idea itself, but the idea around it. That Ubiquibot has some personality, perhaps even a secret identity. That he is just another friendly robot, and there are things to be discovered about him. I’d like to see this aspect of the character emphasized. I’d like to get to know him. [Middle] Just right. Color contrast is great. The idea is great. It looks great. Go with the middle one. I don’t feel emotionally connected to the Ubiquibot as it looks cold and unfeeling, but maybe it’s just me. I don’t understand why Ubiquity should be metaphorized as a robot as well; I can’t see the link between the two. Moreover, the chosen logo is too complicated, and the angle is weird. I would really prefer something simple. I like the concept of the “plug”, but it’s not evident on first glance. There’s potential in branding and marketing with a robot, even if the metaphor doesn’t seem clear for now. The robot can be characterized to be cute and friendly, and soon everyone will fall in love with it. I’ll still support Ubiquity whatever the logo is. My vote goes with Ben’s choice. For me ubquity has nothing to do with robots, ubiquity enhances the ‘flow’ of the web from my point of view. 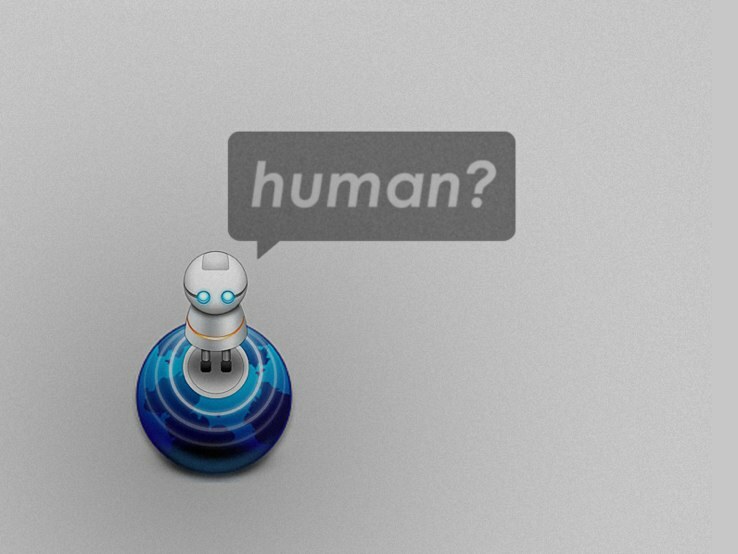 Robots remain full of 1’s and 0’s (cfr osx’ automator icon), whereas organic stuff is more about ’somehow’ creating stuff. This is actually the best blog for anybody who wants to be familiar with this specific topic. You realize a whole lot their pretty much hard in order to state along with you (not i truly wants… HaHa). You definitely place the latest rewrite using a theme i’m talking about been recently discussing for some time. Excellent things, only great! Thank you so much for writing all of the excellent information! Looking forwaard to checking out more posts! That fantabulous post this has been. Somehow seeing this kind associated wiath useful post. I am grateful to you and expect much more associated with posts such as. Much obliged. Reading this information So i’m happy to express that I have an incredibly excellent uncanny feeling I discovered exactly what I needed.